Stuart Taylor was born in 1977. He is a science graduate of the Stellenbosch University. After giving up his lab coat he went on to become the entertainer he is today. Stuart Taylor is a well known comedian, MC, magician and presenter nationwide. He is recognised for his comedy and magic fusion, which has given him recognition as South Africa’s Comedy Magic Champion. Stuart Taylor is well known as the presenter for the television show called “Going Nowhere Slowly” on SABC 3. Stuart Taylor’s roof raising entertainment has had audiences going crazy and asking for more whether it’s in a boardroom or a theatre. Stuart Taylor has produced his one-man comedy show called “Learner Husband” which has played nationwide from the Baxter Theatre (Cape Town) to the Market Theatre (Johannesburg). Stuart Taylor has also performed internationally at the “Pleasace Dome” at the Edinburgh Fringe Festival and at the Berlin International Comedy Festival. Stuart Taylor built his shows upon success on the previous one-man show called “Techni-coloured” comedy show which had amazing reviews and awards. Stuart Taylor has performed at the OppiKoppi in Pretoria (Gauteng) and Worcester (Northern Cape). He also performed at the “Up the Creek” and “Granaat Music Festival”. 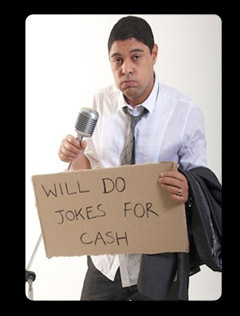 Stuart won the prestigious Overall Best Comedy Award at the National Arts Festivals in Grahams Town and at the Monte Casino Main Theatre. Stuart Taylor is a man of many talents. Whether he is standing in front of a tv camera or a live comedy show he wows his audiences in everything he does.